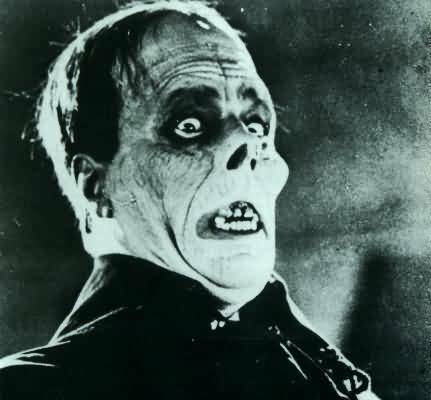 Lon Chaney Sr. as Erik in the 1925 "Phantom of the Opera." 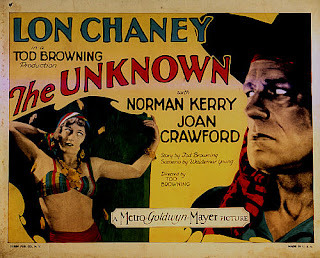 The careers of director Tod Browning and actor Lon Chaney Sr. cross each other like intersecting lines on a graph. One died young and famous, the other lingered long in self-imposed obscurity. One epitomizes expressive grace, and the other is still regarded half-hesitantly as an unhinged midwife of aberrations. Together, they created one of the most overlooked and affecting of all horror films. Much has made of silent-film great Chaney’s childhood as the son of deaf parents sharpening his pantomimic skills, but a careful examination of his stage career shows him, surprisingly, to have been primarily a song-and-dance man and comedian at first. The tragic onstage suicide attempt of his then-wife Cleva Creighton sped him to Hollywood, where his adept work with makeup kept him busy in bit roles until his breakthrough in “The Miracle Man” in 1919. 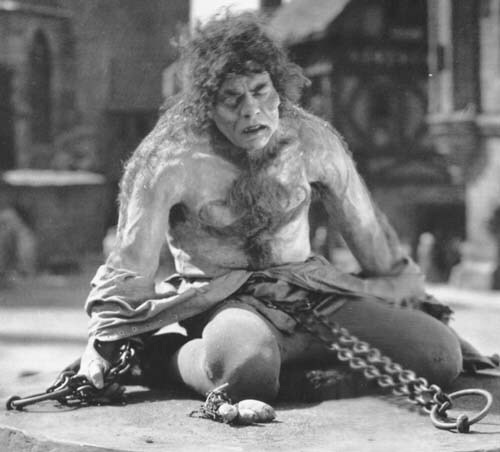 Gradually, Chaney became the go-to guy for extreme character roles, leading to his casting as the tormented bell-ringer Quasimodo in Carl Laemmle’s go-for-broke period extravaganza “The Hunchback of Notre Dame” in 1923. 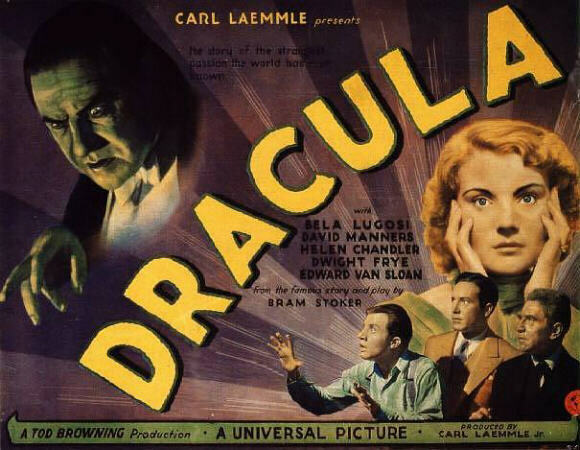 The blazing financial success of the enterprise set the stage for Universal Studio’s long-time association with the horror genre. 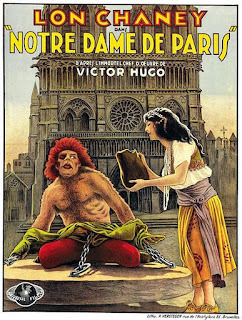 Oddly, though, “Hunchback” is not really a horror film. Quasimodo is deformed, but not evil; he is a hero trapped in a monster’s body. Chaney’s brilliance lies in his ability to shine his character’s sensibility through the layers of makeup and appliances – a capacity for sympathetic portrayal that grounds all his characters and makes them compellingly watchable, now matter how hideous or depraved they may seem to be. In fact, Chaney’s screen persona is rooted in melodrama – often he is a criminal or other “sinner” whose goodness is confirmed at film’s end by an act of redemptive sacrifice. This pattern would define most of his screen vehicles. And it’s the key to the portrayal of monsters and villains onscreen for much of the rest of horror-film history. Stars such as Karloff, Price, Cregar, Rathbone, Cushing, Lee, Daniell and Chaney Jr. would nearly always find a pivot point of motivation, and a sense of pathos, beneath their grotesque actions on film, humanizing them to a degree far more affecting than that of the happy-go-lucky heroes of film – the Fairbankses (father and son), the Powers, and the Flynns. In “Phantom,” Chaney dares himself to be even more alienating. As the mad, sadistic, corpse-faced Erik, Chaney wrings out a rapport with the audience through his eyes alone – a feat matched only by Conrad Veidt in “The Man Who Laughs” two years later. Chaney’s gestures were absolutely poetic – watch his hands, his stance and even the slight movement of his shoulders. 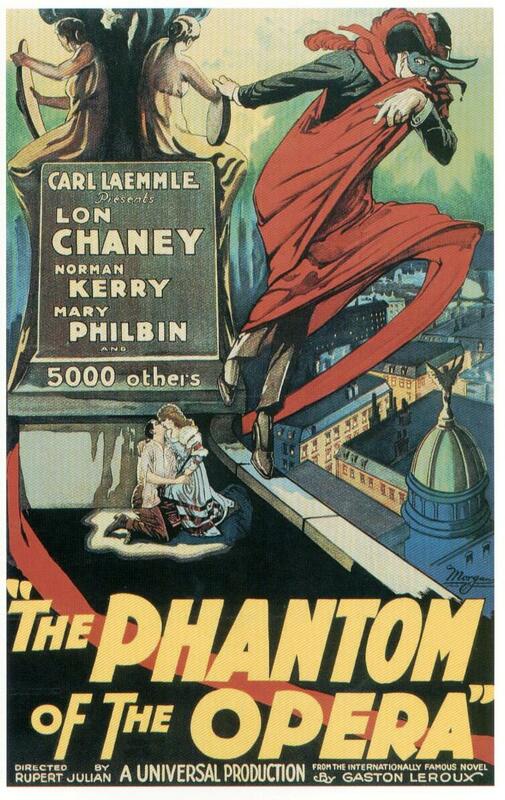 In “Phantom,” he distills everything into the eyes. Chaney finally has his arms amputated in order to be with her, only to find that she has overcome her phobia and is engaged to the circus strongman. In anguish, Chaney plans vengeance. 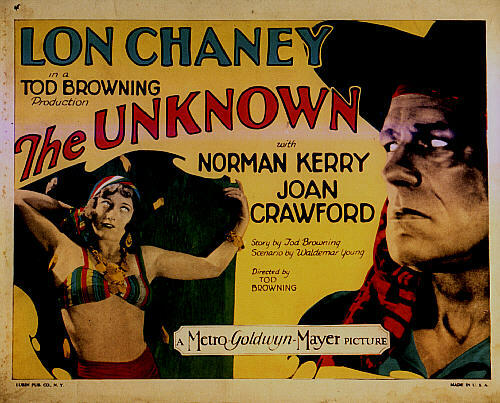 Somehow, Browning and Chaney pull this absurd plot off convincingly. Browning’s numerous capabilities as a director included his ability to film the most extravagant imaginings in a very straightforward, matter-of-fact way – almost as if John Ford were tasked with filming a David Lynch script. Chaney’s stunt acting is at its most intense, but never loses its link with real feeling. 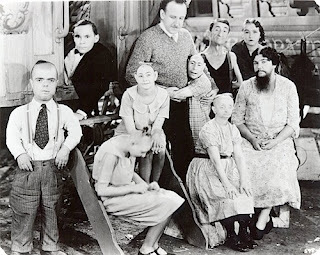 So what attracted Browning so fatefully to the “Freaks” project? He had been working on the idea for five years when he finally got the green light. His use of real circus freaks, his unflinching depiction of their disabilities, and his disturbing delineation of their revenge on the “normals” that violate their group integrity code of honor, and his insistence that they represented a kind of pure-hearted, ideal society of the scorned is still haunting. Browning seems obsessed with indicting the audience, pointing fingers at our complicity in iconizing, isolating and ostracizing outward variance with our assumptions about what is normal and what isn’t. When the film’s midget hero is cynically betrayed by the glamorous trapeze artist, it’s not long before the freaks come squirming after her and her lover, the strongman, in a driving rainstorm that forms the harrowing climax of the picture. One woman at a preview screening of the original 90-minute cut of the film threatened to sue MGM, claiming it caused her to suffer a miscarriage. The film, even in its radically truncated 64-minute version, the only one that survives today, is a direct assault on the senses and our sensibilities. Vilified, Browning made only four more films. By 1939, Hollywood was done with him. He had 23 more years left to live. The film lived on in special showings that had the same forbidden aspect that the carnivals that inspired it did. Dwain Esper, exploitation director, producer and distributor, dragged prints around the back roads of America, presenting it as “Forbidden Love” or “Nature’s Mistakes,” sometimes pairing it with a “stag film” (nudist footage). Its re-estimation came via midnight screenings in the 1960s. By 1994, it had been added to the National Film Registry. Does its inclusion here violate my rule about squeamishness? “Freaks” is nearly unbearable still. Oddly, though, its attempt to take the moral high ground distinguishes it from its despicable descendants. 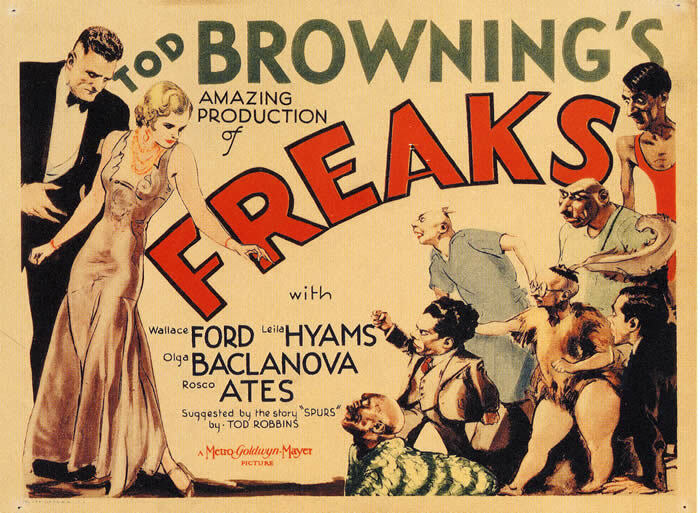 Today, “Freaks” reads like a sideshow version of a Grimm’s fairy tale. NEXT UP: Torches and pitchforks and mattocks, oh my!